With the weather getting cooler and Christmas around the corner, it seems more and more people are baking. You want to make yummy foods for friends and family or to bring to work or parties. 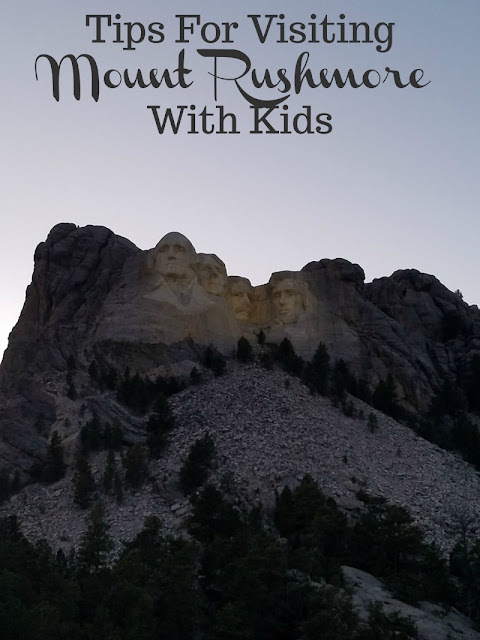 The kids will need treats for school parties or you may have cookie exchanges. Brownies are a comfort food that I are delicious and so many people's favorite sweet. It's like a potato chip, you can't eat just one. Why not take the traditional brownie and make it extraordinary? Adding in an additional flavor, like peanut butter, will bring out the richness and add delicious flavor. It is easier than you might think to create brownies from scratch. Homemade brownies taste so much better than the boxed stuff, and really take just a few more minutes to make. This recipe is quick, easy and the peanut butter sauce that you swirl into the mixture is out of this world. Swirl in the peanut butter to give it a professional look or you can drizzle extra chocolate on top to give it those important finishing touches. Preheat oven to 350 degrees. Butter and flour an 8x8x2 square baking pan. In a small saucepan mix peanut butter, heavy cream, 3/4 cup sugar and light corn syrup. Cook over medium heat until melted and all ingredients are incorporated. Set aside to cool. In a separate saucepan, melt butter and chocolate over low heat. Set aside. In a small bowl combine flour, baking powder and salt. In a separate, larger bowl, beat eggs and 1 cup sugar until creamy. Incorporate vanilla and chocolate. Gradually add in the flour mixture, stirring until well combined. Pour mixture into baking pan. Using half of the peanut butter mixture, drop by the spoonful on top of the brownie mix. Using a knife, gently pull through batter. Bake for 30 minutes or until a toothpick inserted into the center comes out clean. Remove from oven and allow to cool. Drizzle remaining peanut butter mixture on top of the cooked brownies. Cut into squares. These look so yummy! I wonder if it would work as well with the natural peanut butter, because that's what I have in the pantry. Gonna try these tonight! Oh. My. Goodness! This looks so amazing. My hubby is a die hard peanut butter addict and this is sure to get me some brownie points (pun intended, lol!). i have seen a recipe for peanut butter brownies but didnt try it. this one sounds better and looks so pretty with the drizzle on top! Oh my gosh! This looks delicious! HEAVEN. Complete. Heaven. What a great recipe!! These brownies sound - and look - delicious. My family is nuts for peanut butter, so this recipe will be a big hit. Thanks for sharing. Oh wow! This looks really YUMMY and seems pretty easy to make. I'll admit that I usually go with the boxed brands, but I will have to give this a shot! I agree with you that Homemade brownies are so much better than the box stuff. 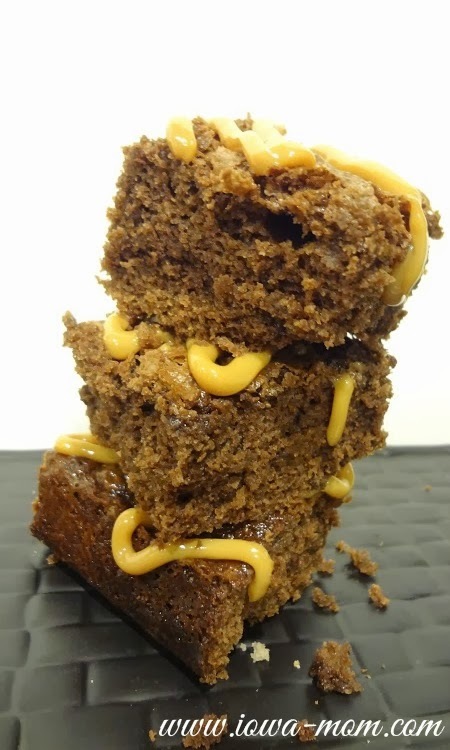 I have never made peanut butter Brownies but they sound extra good and I could almost guarantee you that they wouldn't last very long in my household. I am going to write your recipe down. It sounds extra good and thank you for your recipe,when I make them All take a picture of them and make sure my friends know where the recipe came from. Oh yummy. I love brownies, and this looks so delicious. I have made them with fig or strawberry filling. I have got to try this recipe. I have got to try this brownie recipe. I have made them with fig or strawberry filling, but peanut butter sounds so good. These look goooooooood! We've done something similar before, but cheated with the box mix lol! Then just made a peanut butter frosting to go on top! 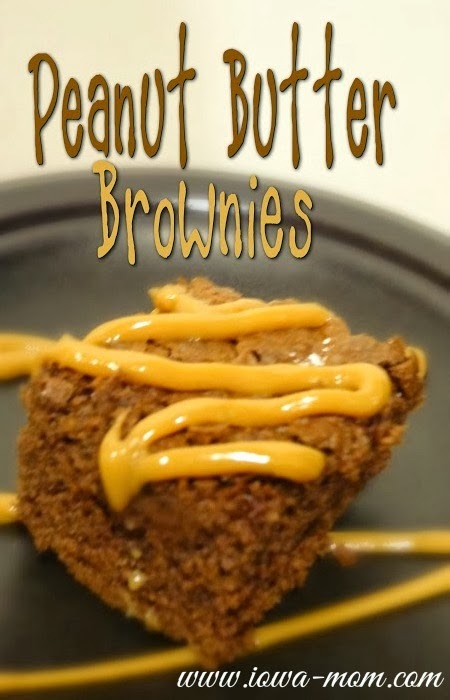 Love peanut butter also brownies! Never thought I would see those combine together as one, I'm quick to tell someone don't knock it unless you try it. To me it doesn't look to good but looks can be deceiving lol but yes, I would be test this out though! Wow these look really good!! Will have to give this a try! Both of my sons LOVE peanut butter Can't wait to try these at our house. Thanks for sharing. 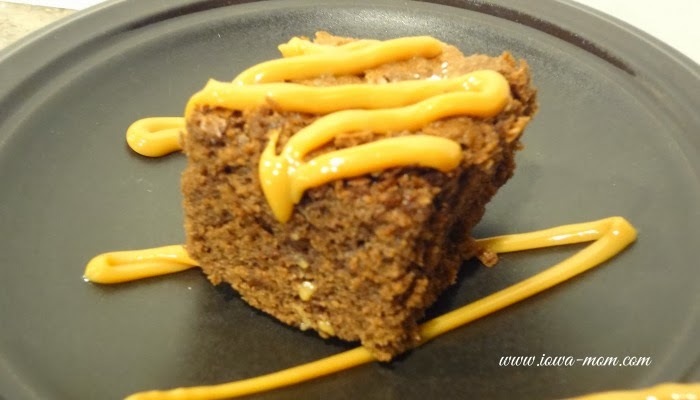 Do I love peanut butter and chocolate - and the concept of making them into a brownie! Wow, I don't know why I've never seen this before. What a great recipe - I want to make this asap! My hubby lovs peanut butter! Definitely trying these! Wow these look amazing...saving for later. Thank you. Those look so good. I like the glaze on top. I love butterscotch. I'd add some butterscotch chips in there too. thanks for sharing this recipie...i will try this for sure.!!! This is insane! Everyone in our house loves peanut butter. Definitely a keeper. Thanks. These are insane! Everyone in our hose loves peanut butter. Definitely a keeper. Thanks! Now these are my kind o brownies. I have to admit, I do not much eat chocolate (gasp) for some reason it ha always made me cough no clue why. If you add peanut buter though I bet I would be fine with it!